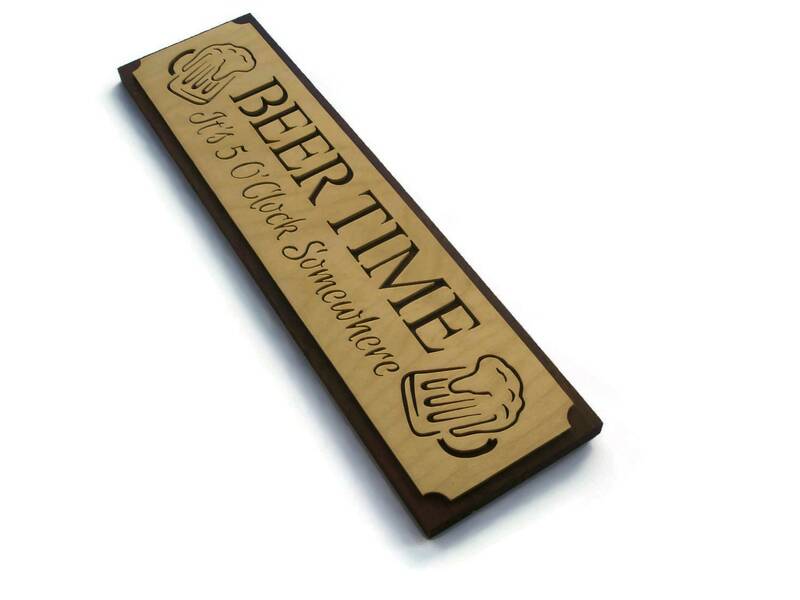 Wooden Beer Time Sign Handmade From Birch And Walnut By KevsKrafts Bar And Grill Decor. 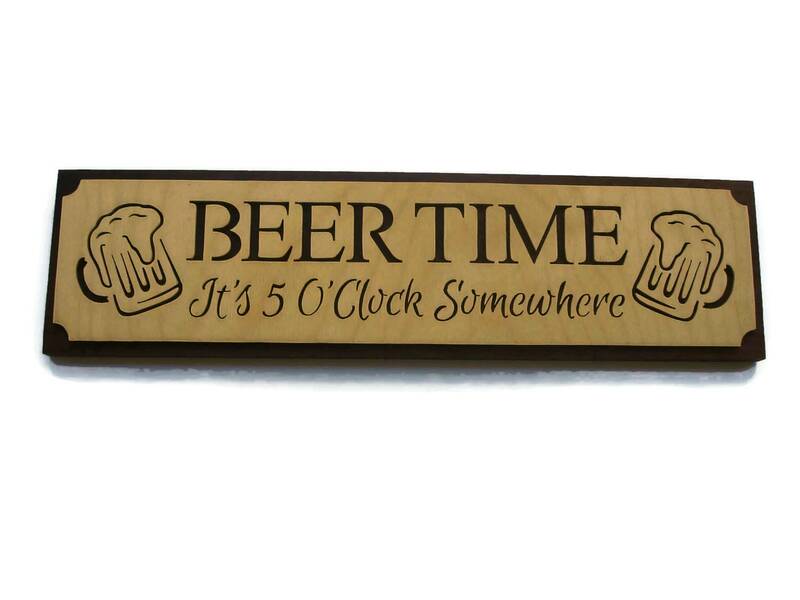 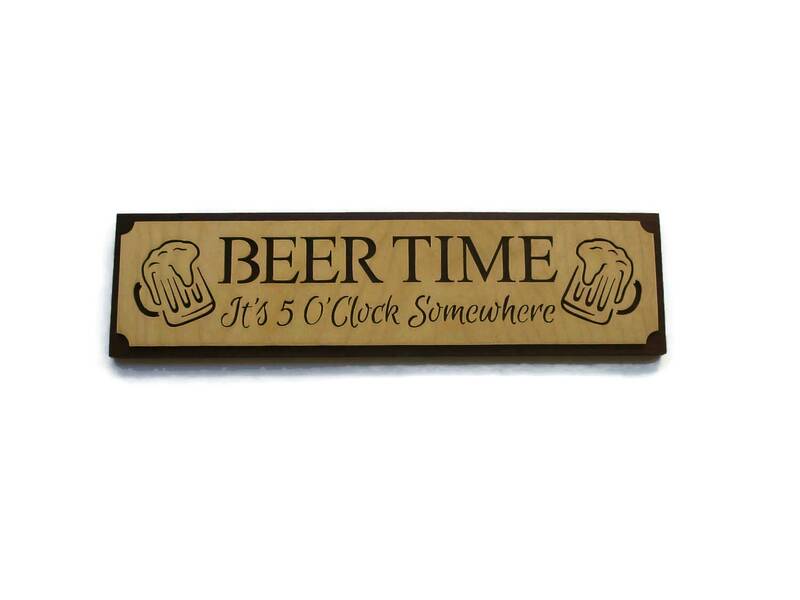 This beer time sign was cut by hand ( Handmade ) from 1/8 inch birch plywood using a scroll saw and then mounted to a Walnut board to enhance the details of the cutting. 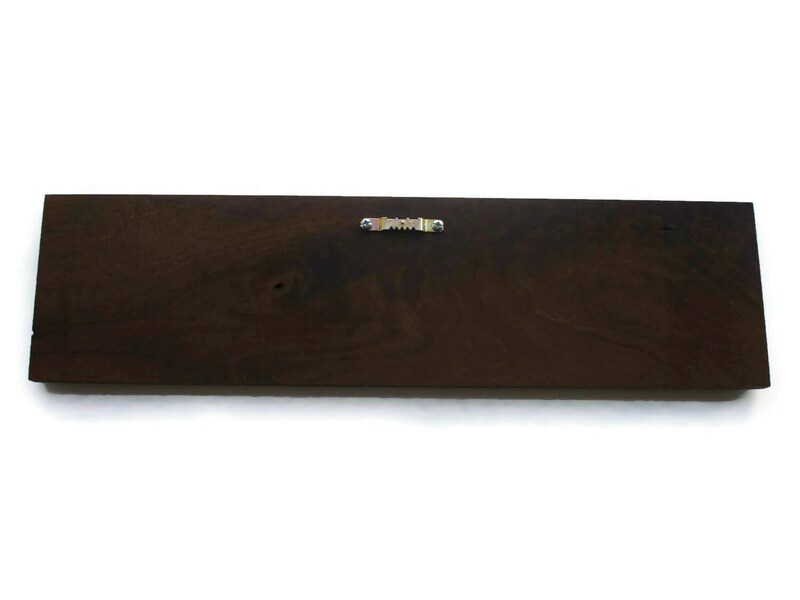 A saw tooth hanger is attached to the back for ease of hanging. 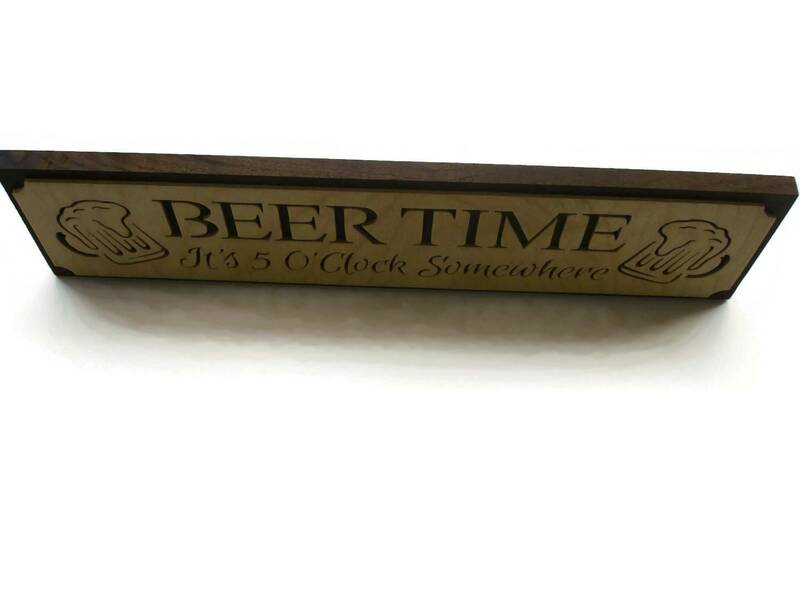 A natural color Danish oil finish was applied to beautify the wood as well as to protect this natural beauty for many years of enjoyment.